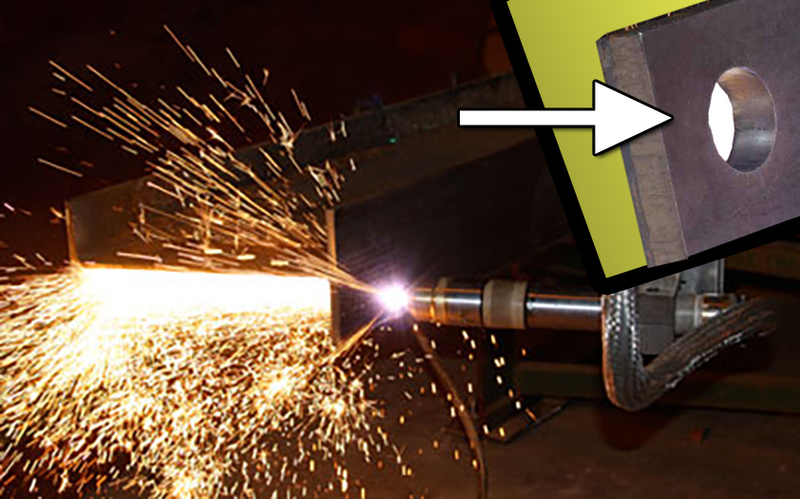 This is the only system capable of processing copes, cut-to-length, AISC approved bolt-hole connections, marking, scribing, and fully cutting shapes up to 48" (1.2m) wide and capacities up to 1,000lb per foot. The Controlled Automation Revolution machine comes standard with laser scanning to provide more than 60% faster processing than probing machines. 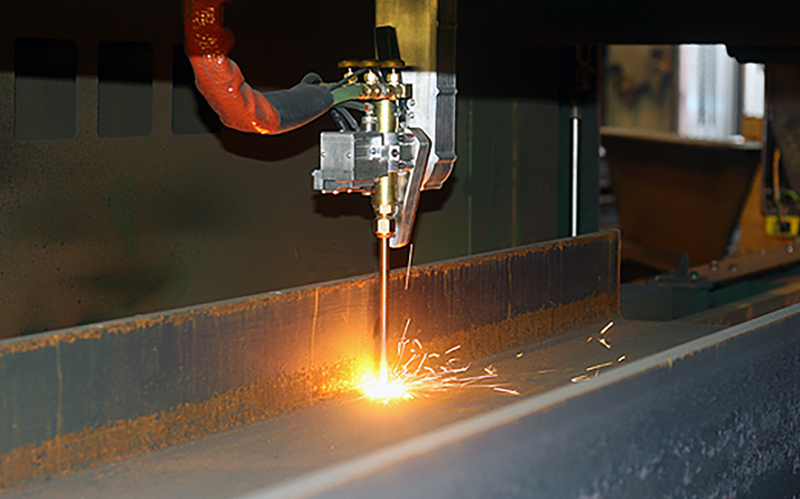 For even greater productivity, the Revolution also has an automatic tool-changer to switch from high definition plasma to an oxy-fuel torch station to process thicker material beyond plasma capabilities. 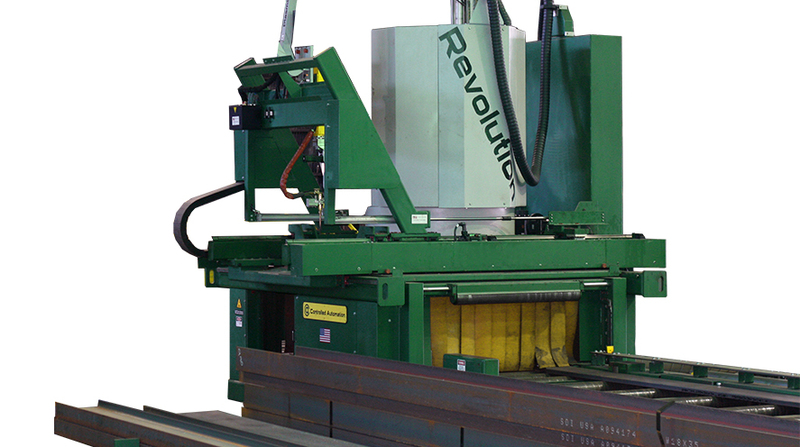 This is the ONE machine manufactured for steel and metal fabricators to process all of your structural shapes. Why a Controlled Automation robot? The Revolution thermal processing machine is very unique in its utilization of a cartesian style design instead of a generic robot. There are several benefits to thermally cutting structural shapes with our system. The Revolution can process structural shapes faster and in fewer movements, sometimes processing in as little as two movements compared to other generic robots that have to move 7 axes' of motion for the same processing. This simplified robotic motion reduces cable wear and increases the longevity of the overall machine. The incorporation of laser scanning also improves overall processing time in comparison with other designs requiring continuous probing of material when processing. While the speeds are much greater than other machines, the capabilities are also greater with the incorporation of an automatic tool-changer to provide additional options such as oxy-fuel cutting for heavy members and difficult shapes such as "rat holes". The Revolution is able to reach all 4 sides of material automatically for cutting, marking and scribing without operator intervention. This process allows for convenient and easy tube cutting as well as marking on the top and bottom web of structural beams and channels. 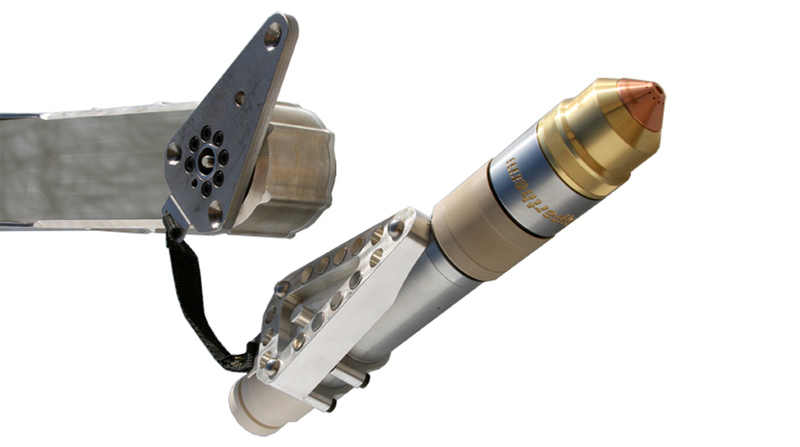 Controlled Automation utilizes off-the-shelf parts for easy maintenance and less expense on component replacements. Self calibration, web-cam service connectivity, free phone support, and remote operation are all standard features for easy maintenance and service of the machine. 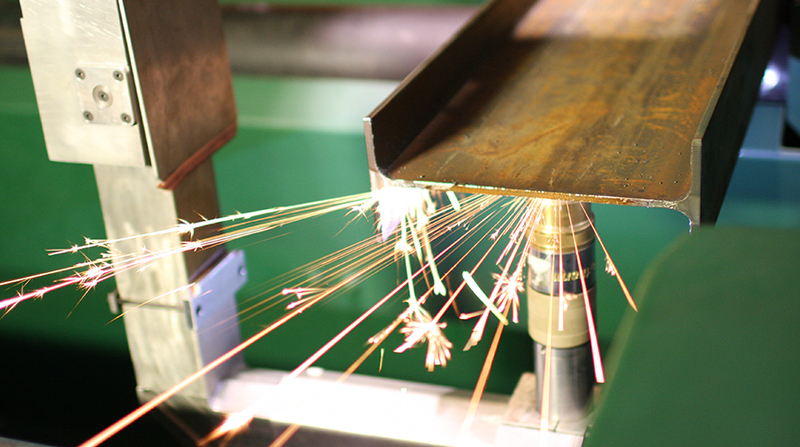 We fully service the entirety of the machine from the software, controls and mechanical build of the machine. Controlled Automation is the only coper manufacturer in the world to design the software, build the entire robot, controller, and machine! Marking to perform layouts - not just cope! 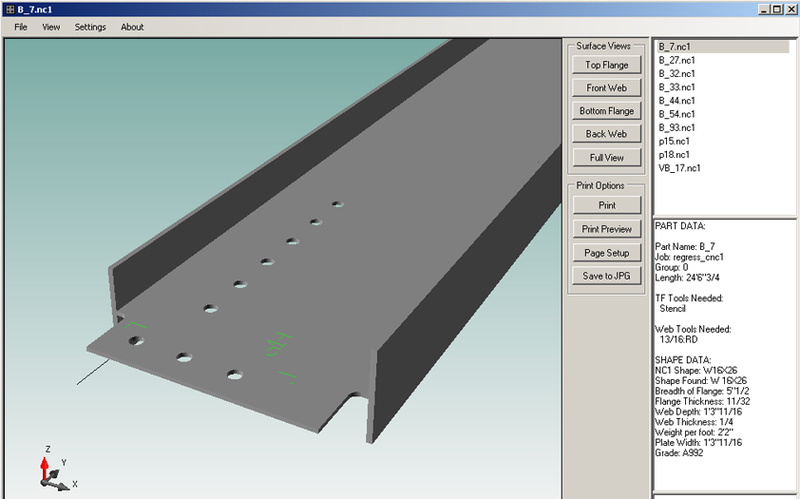 Using our own SICAM 3D software, the Revolution can process and nest (mult) all coped parts, hole processing, cut-to-length AND mark for layout of welded operations. 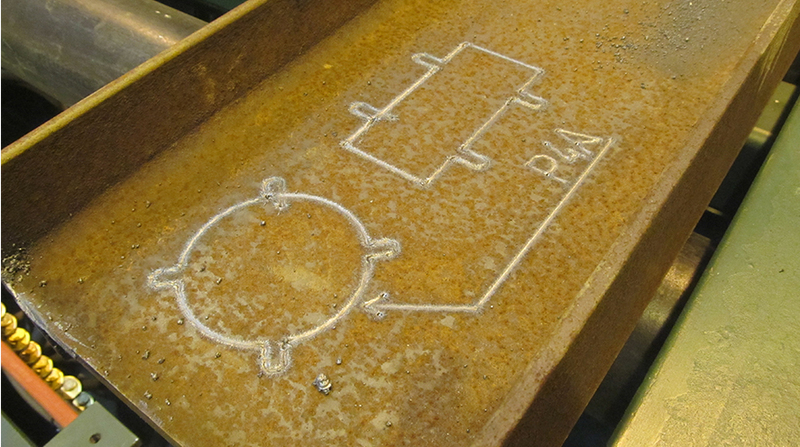 Using the HPRXD series torch, the Revolution utilizes Argon scribing for an improved scribing method as compared to stand-alone marking systems with ArcWriters. This process produces cleaner marks and better accuracy of layout through the use of laser scanning and a length measuring probe. 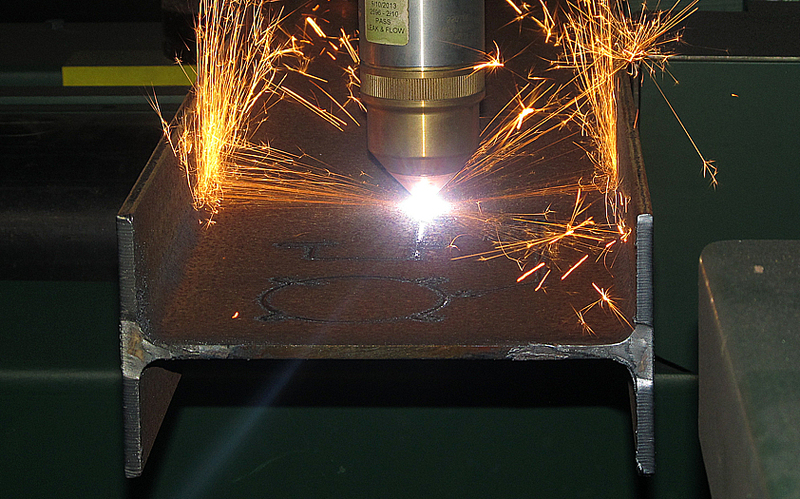 High Definition CuttingHigh definition plasma cutting with automatic gas control and Hypertherm's Patented True Hole plasma process for consistantly accurate AISC approved bolted hole connections. 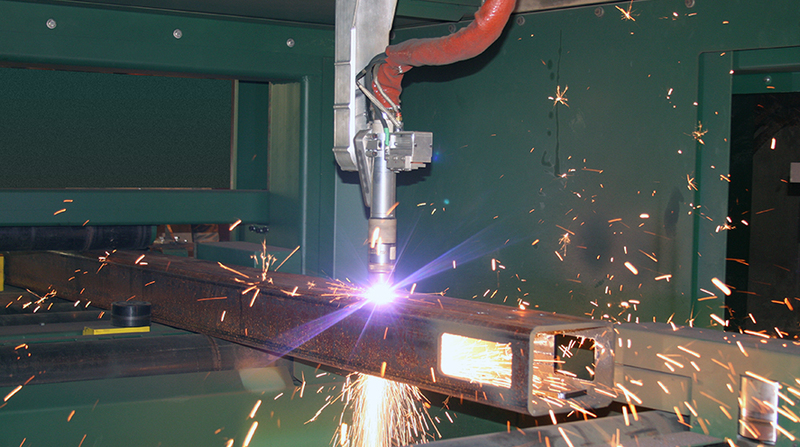 Go Beyond PlasmaOxyfuel cutting is automatically chosen by the machine controller for any limitation of the plasma's cutting capacity or tight copes that the plasma tool cannot access. Mark, Scribe and LayoutMark, layout and scribe for your fitting and welding automatically in one process. Avoid sending layout operations to an additional machine or laying out manually by hand. 3D Part ProgrammingThe Revolution uses SICAM software with 3D part viewing to process nests, multed parts and DSTV files. Our SICAM software is capable of editing any detailing file and running files from inventory management software such as Fabtrol and FabSuite. Control SimplicityWe designed our controller with simplicity in mind. Your CPU contains off-the-shelf components for easy maintenance and reliability with a standard PC computer. Online diagnostics are also available for fast and easy remote help by Controlled Automation technicians. X-Probe Measuring SystemThe most reliable and accurate way to measure is with our X-Probe measuring system by keeping in constant contact with the end of your material. Far superior against wheel-measuring systems that can pick up inaccuracies with slight cambers, bumps, rust, mill scale, slipping, ice, mud, etc. Material Handling OptionsFeed your Revolution with our most advanced fully automated system for the most speed and efficiency or our standard transfer and conveyors all rated for material up to 48" (1.2m) wide and up to 1,000lb per foot (1,488kg/m).